The real treat to the on-going online conversations is humans interacting and sharing, adding flavours to the context in where they do their provisioning and knowledge foraging. Why the Landlord’s social game evolve and create such embedded culture? Organising people is hard, herding the cats really makes sense, since most collaboration amongst people hold in-built power relations, and we constantly disagree. Even in the small world examples as within a family or between friends, we argue. The fruitful conversations helps us pane out the negotiated truth. Rules help us find a pattern useful for collaboration, as with Monopoly. The basic rules of this game are very simple, so simple that even kids grasp the core concepts in a snippet. What makes this game so intriguing is the social layer that is not codified in the rules. We as players expand, cheat, remix, i.e. building pacts to win. Refine the money transactions with add-on rules that the taxes paid should go into growing pile of money, that anyone stepping on the free-parking collects. This is why people with very strict morale and compliance to rules have difficulties to engage in the extra layers to the game. Whereas most of us others who are adaptive, go with the flow and have fun. When organisations do engage in knowledge management, they have tried to codify and apply rules that are overly complex, which leads to a mess. Since people obstruct, when they can’t comprehend the plan and don’t know how to behave in this strictly regulated environment. In information management practices derived from us being information professionals, we stretch the matrix with way to many metadata steps in provisioning. Killed by taxonomy! We are only able to add context within our enacted environment. The matrix machinery behind the scenes has to help us and refine the provision and uses in the pathway of the user and their networks. This fluid notion to knowledge is a much better reflection to how we humans act and reflect. And the matrix machinery (digital information infrastructures i.e. ecm, search, taxonomy, ontologies and so forth) has to be adaptive, and let the social layers and human factors and messiness be part of the calculation. There will never be a perfect match, only information tidbits in the social fabric. The notion of social business and uses of social platforms will in a good setting lever the similar patterns to the ever growing public learning happening on the Internet. Appreciate the power of difference, and be aware of the echo chamber problem, with closed silos. Make the networks smarter! But the enterprise social platforms do need a game plan, as simple and crispy as for Monopoly. Without a goal, and a framework for engagement and collaboration, there will only be technology without a relevant use. Youth of today, level positive deviance and the knowledge creation in emerging networks. The entrepreneurial learner generation embrace the notion of networks, and take the information abundance for granted. Remix and Lego go hand in hand, since the most compelling part of playing with Lego. Is not only to go by the book, develop the bought package according to the manual, but rather the steps beyond. 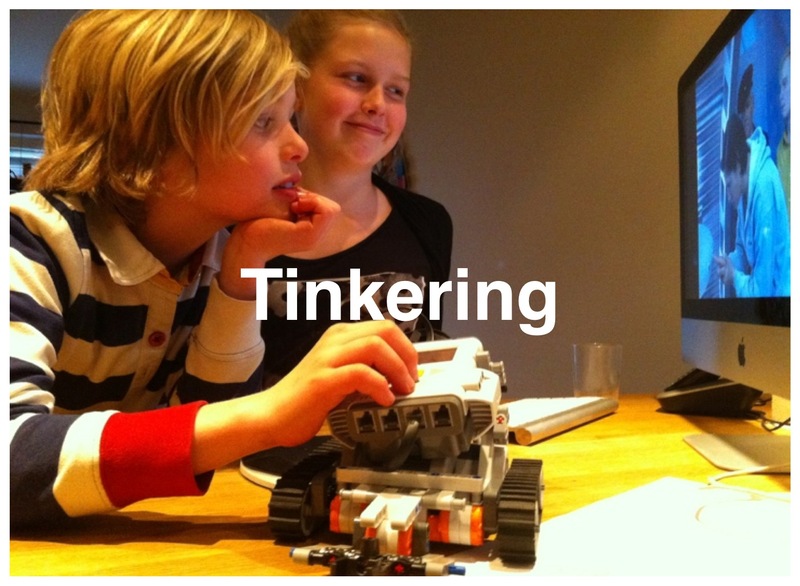 Where you take the simple building blocks and innovate new creations, or even program the tool through Lego MindStorm. The kids of today apply same passion to learn, through tinkering as we grown ups did. But with the big difference that their room is global, always connected with networks of peers who share the same passion. This is the reason why games like Minecraft grows with mind blowing speed, we like to co-create things and learn in the flow of events. This behaviour is in-built in our spines. How do we embrace creation spaces in the enterprise setting, and apply similar inspiring ideas to our workforces? This entry was posted on Friday, October 19th, 2012 at 10:38 am and is filed under information management, knowledge management, social networks, Uncategorized. You can follow any responses to this entry through the RSS 2.0 feed. You can leave a response, or trackback from your own site.